Growing plants from seed is generally straightforward and inexpensive. 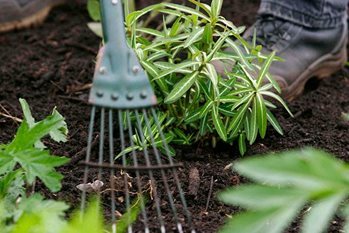 It is an opportunity to increase the number of plants in your garden for free. Seed can be saved from many trees, shrubs, perennials, aquatic plants, alpines, annuals, biennials, bulbous plants, ornamental grasses vegetables and herbs. Lack of collectable seed: Some plants are sterile and cannot set seed. Trying to collect seed from such plants will obviously be disappointing. Others (e.g. holly) may carry male and female flowers on separate plants so male plants will never bear seed. Seed production can be exhausting for a plant so it is also not uncommon for seed production to be cyclical – some years will be good for harvesting, others bad – or it may simply be that weather conditions for that season were not favourable, perhaps due to a late frost or drought. Poor viability (the length of time that seed stays alive and able to germinate): If seed is sown but fails to germinate, it suggests it was not viable. Seed viability depends on the condition of the seed when first stored, how long it is stored and what seed is being kept. A good propagation book - e.g. RHS Propagating Plants Book - should be consulted.